Feelings: As many NYC women would know, good hairstylists, lady doctors, dentists and modern casual Chinese spots are all extremely difficult to find in this city. And as soon as you find a perfect one, they move or retire. Oh how I terribly miss my fabulous dentist...and Danny Bowien's fiery Sichuan cooking from Mission Chinese. My dentist moved to London, and Mission Chinese, as of now, are still closed after a spot of trouble with the Department of Health. 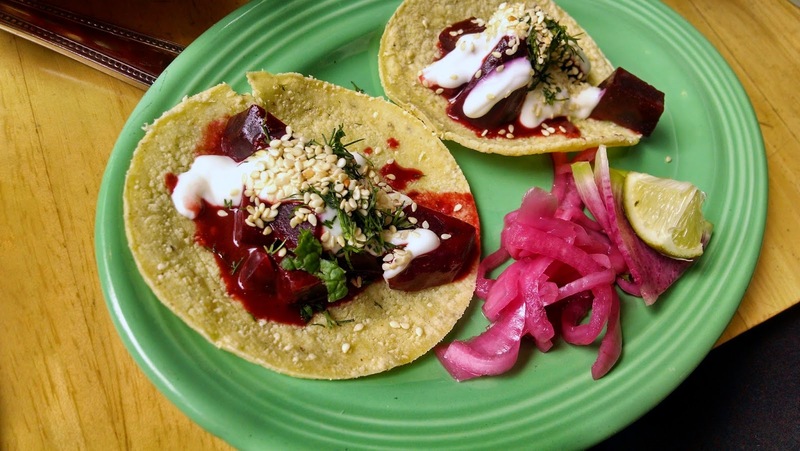 His new taqueria venture, Mission Cantina also resides in Lower East Side with similar pricing and playful take on the traditional cuisine. The lines are not as long and has much less of the "scene" vibe. Unfortunately, there is no Twin Peak themed bathroom here like at Mission Chinese. 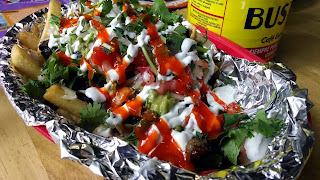 The San Diego styled French Fries ($5), also known as carne asada fries, is a must. 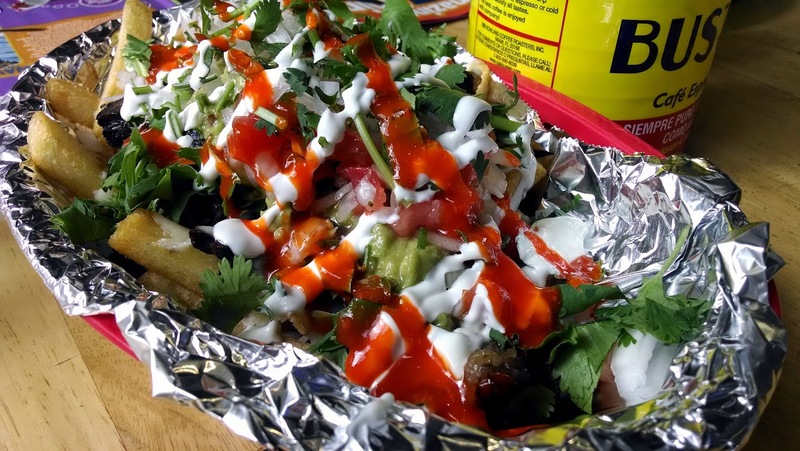 With generous topping of guacamole, sour cream, cheese and tender beef, this is a meal-sized heavy french fry dish. If you don't care for fries (do you really exist? ), there are plenty of dishes to share: Country fried rabbit, rotisserie chicken, pork belly, and chicken wings, and the list of not-so-Mexican food continues. 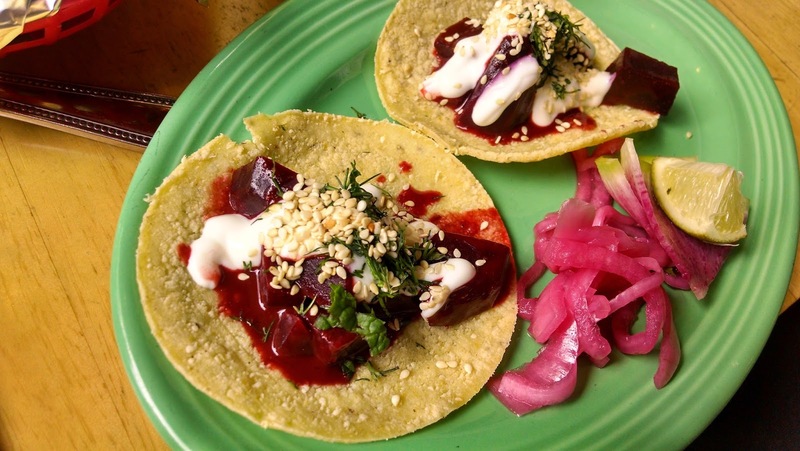 There are plenty of vegetarian dishes, six taco dishes to be precise, available. Roasted beets tacos (2x small tacos) are fresh, whimsical and excellent in flavor. RB's Lamb Burrito ($11, lamb burrito with beans, avocado, crema, queso blanco, salsa fresca, chips and 2 salsa) was unexpected and flavorful. This was the first time RB ever had lamb in burrito form, but as he said, hopefully not the last. Mission Cantina is a fun place to dine with friends and families. 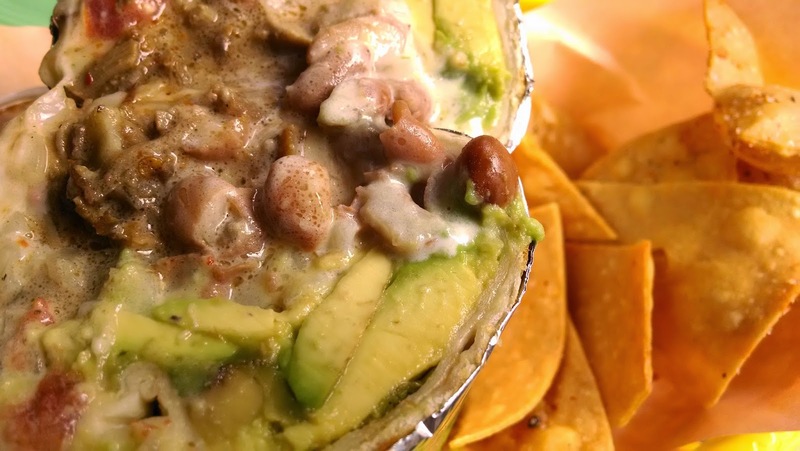 This is more of an upscale, gourmet take of 90's Taco Bell rather than modern take of traditional Mexican food. Yes, kitsch is all over. I like it.